In a busy fast paced World it seems that we are short on time. Time hasn’t changed, we still have 24 hours a day. However, technology sure has, and our minds and bodies are spinning. Take some time each day to silence the noise. Several bouts of 1 minute quiet sessions can clear the mind. Drive with the radio off for a change, go on a news fast, or a social media fast for a day. I love the concept slow down so you can speed up just as much as I can’t hear you when you’re yelling. When we slow down, we take time to get quiet and tune out everyone else’s thoughts so we can hear our own thoughts and ideas. Take a few days to tune out the noise of others and tune into yourself. Let me know how relaxed, creative, and peaceful you’ve become. Good night loves. Meditate. Prayer. 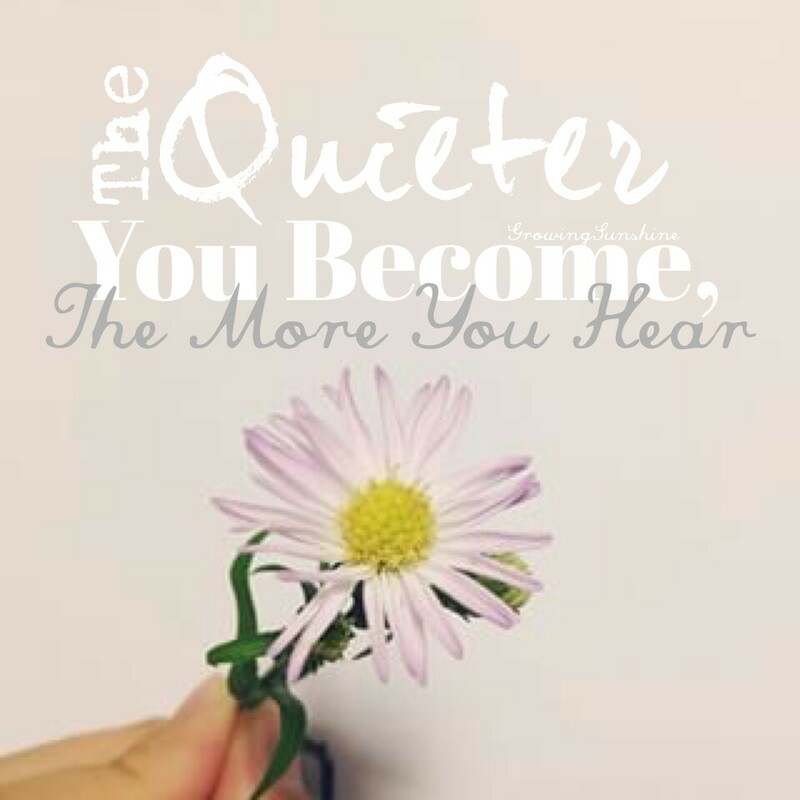 Find your Quiet place. Enjoy.